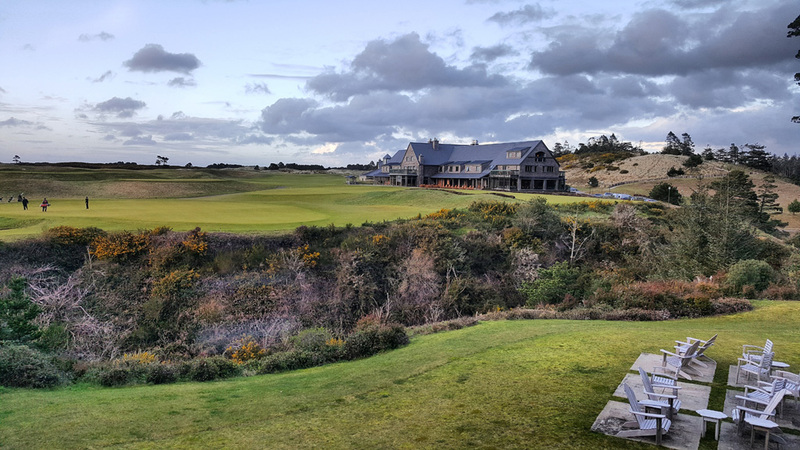 Having made plans to visit Bandon Dunes just a little over a month in advance, there wasn’t many lodging options at the resort to choose from. 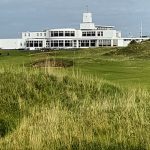 While I was first booked in a Forest King room at the Inn, I received an email from reservations about two weeks out letting me know that I had been upgraded to a Golf King room. 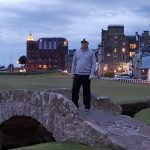 This was a very nice gesture from the resort and I was really excited to be able to enjoy the highly sought after western view which allows you to look toward the west and out over the spectacular 18th hole at Bandon Dunes. 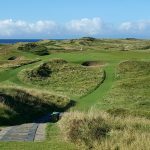 When traveling to Bandon Dunes as a single or in a relatively small group, you pretty much have two options when it comes to lodging. You can reserve the Lodge or the Inn. 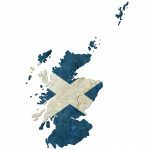 To quickly sum up this decision, it boils down to being in the heart of the post golf action at the Lodge or in a larger and more modern room in the quieter Inn. There is no significant advantage between locations when it comes to playing your round. The Lodge is in a better location for playing Bandon Dunes and the Inn is in a better location for playing Bandon Trails and the Preserve. Neither have an advantage when it comes to playing at either Pacific Dunes or Old Mac. Just call for a shuttle and you are at Pacific or Old Mac in next to no time from either hotel. 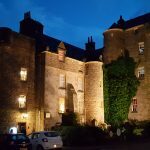 My experience over four nights at the Inn was pretty much perfect. 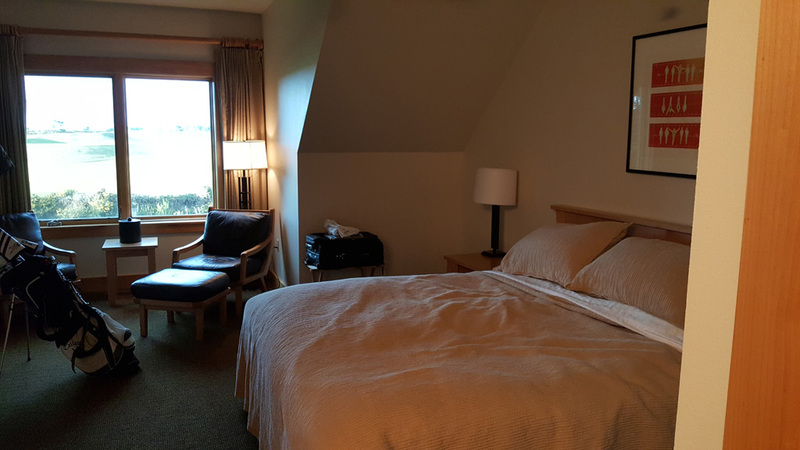 My second floor King room was very spacious and the views of Bandon Dunes and the Lodge are incredible, especially on those sunny Oregon summer evenings. 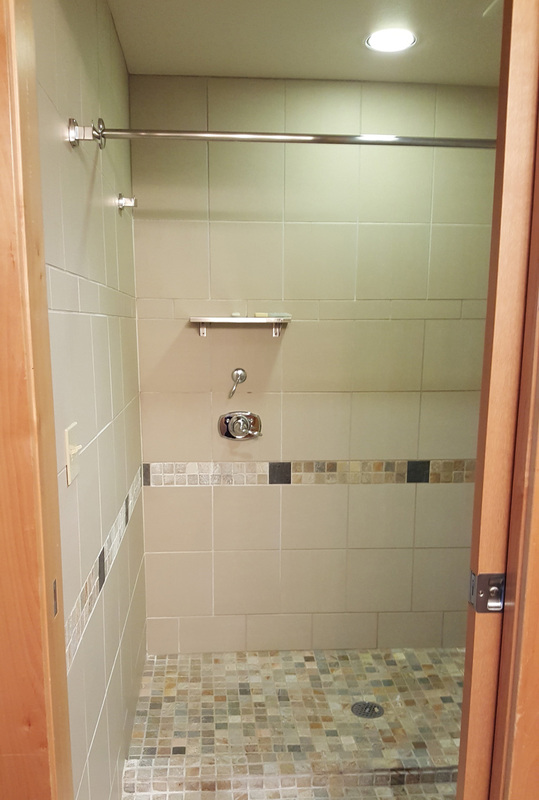 The Golf King room comes equipped with a very large and updated bathroom which is nice if you are traveling with others. 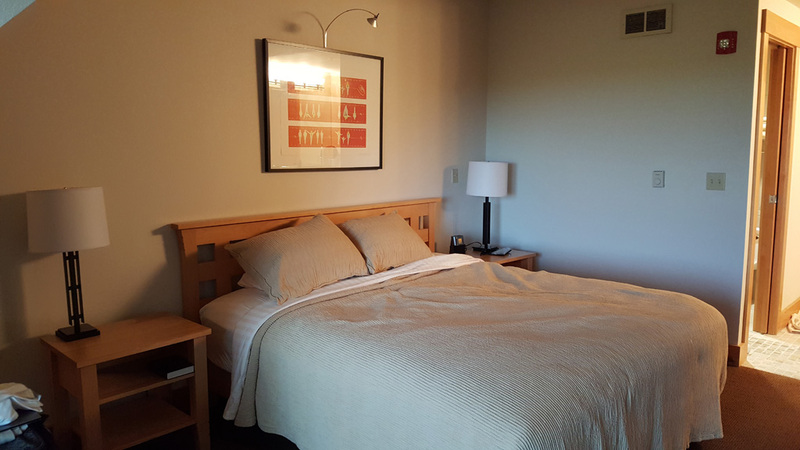 But most importantly the King sized bed is extremely comfortable, which is critical when you need to recharge your batteries after walking 36 at Bandon. Most of the bars and pubs are located just a short walk over to the Lodge, but the Inn has a very underrated bar that is located just below both wings of the hotel. On a nice day you can take a drink from the bar and sit outside on one of the many deck chairs and watch golfers stroll up the 18th green at Bandon Dunes. 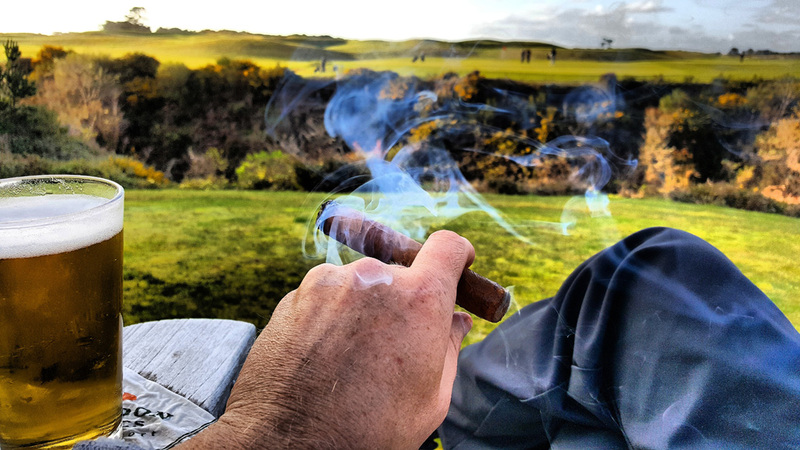 It’s an absolutely perfect place to relax, have a drink, and enjoy a nice cigar after an exhausting day of golf. The bar also stays open to around 9:00pm so you can enjoy a night cap after walking back from dinner over at the Lodge. If you are going to Bandon Dunes and plan to stay at the resort, I would choose the Inn over the Lodge. You won’t be disappointed.